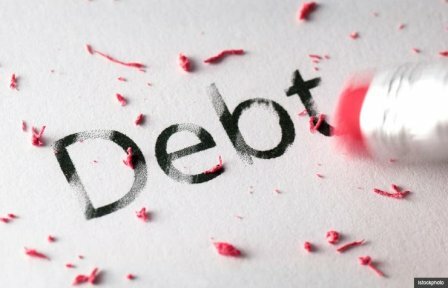 Dealing with debt can be extremely difficult. Instead of living your life worry-free, you are constantly faced with the pressure of paying back your debtors. Although it might be tempting to bury your head in the sand or run away from your problems, it is essential that you confront the situation head-on. Facing up to your debt is the hardest part. Once you have done that, you will be ready to put a plan of action into place. No matter your circumstances, it is always possible to pull yourself out of debt. Simply take on board the following four steps, and you will be well on your way to achieving your goals. The first step is to keep a close eye on your pay. In order to create a plan for paying off your debts, you will need to have a clear idea of the amount of money coming in. This will help you to work out how much of your income can go towards rectifying your financial situation. During this process, you might also find that you are being underpaid. If this is the case, you don’t want it to seem as though you create fake pay stubs or are untruthful about your income. Instead, you want your employers to see that you are telling the truth. Having a clear and accurate record of your earnings will help to make this happen. After you have wrapped your head around your income, you will need to get to work on cutting down your outgoing expenses. Whilst it is important that you are still living life to the fullest, you need to make sure that you aren’t throwing money down the drain. Simple steps such as talking to your providers, collecting coupons, and taking public transport could have a huge impact on your personal finances. Alternatively, if you can’t identify any areas where you could be cutting costs, you should look out for opportunities to generate an extra income. This could involve anything from walking your neighbor’s dog to starting your career as an Uber driver. Whatever you decide, the most important factor is that you a bring in more money than you are spending. This will leave you with enough funds to drive towards your debtors. It could even leave you with additional earnings that you can put into an emergency savings account. Last but not least, you should establish clear goals for the future. Failing to take this step will make it incredibly difficult for you to stay motivated and enthusiastic. Of course, paying off your debts should be your main goal, but you should also have other ambitions. Perhaps you would eventually like to go on a guilt-free vacation that you can definitely afford. Or, maybe you would like to finish the renovation of your property, without being forced to take out a loan.